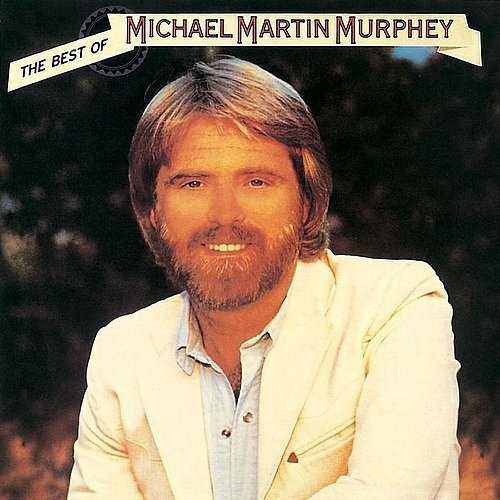 Michael Martin Murphey: "Best Of" long-playing, 33 1/3 rpm., 12", vinyl record. 1984 EMI label, ST-517143. Side One: CAROLINA IN THE PINES / GERONIMO'S CADILLAC / CHEROKEE FIDDLE / STILL TAKIN' CHANCES / WHAT'S FOREVER FOR / WILDFIRE. Side Two: WHAT SHE WANTS / LOVE AFFAIRS / DISENCHANGTED / DON'T COUNT THE RAINY DAYS / WILL IT BE LOVE BY MORNING / RADIO LAND.